Vilnius city tour. Vilnius Old Town,the Gediminas tower, Presidential Palace, St. Anne’s Church, Sts. Peter & Paul’s Church, The KGB museum, The Gates of Dawn, The Bernardine Gardens, the Castle Hill, the Hill of Three Crosses, Gediminas avenue. Overnight in a hotel in Vilnius. The Trakai Island Castle in the Trakai Historical National Park. Karaites’ cultural heritage museum (ethnic group of Turkish speaking Crimean Tatars which settled here in 14th -15thcentury). Traditional Lithuanian food. 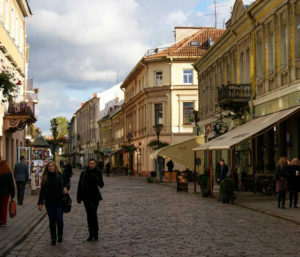 Kaunas city tour. Old Town Kaunas, the Ninth Fort, Laisvesaleja (Liberty Boulevard), the Kaunas castle, Cathedral of St. Peter and St. Paul. The house of Chigune Sugihara, the Japanese consul, who resided in Kaunas in 1939 – 1940 and rescued Jewish people from persecutions by granting them visas. Overnight in a hotel in Kaunas. Klaipeda, a harbour city.Ferry to peninsula (15min) to Curonian Spit National Park, a sand-dune spit that separates the Curonian Lagoon from the Baltic Sea. This is the only place in the Baltic States where there is such a vast territory of open-air sand dunes which still change the local terrain very actively because of the wind. Sites to visit: ethnographic villages, Nida holiday resort, impressive sand dunes. Near Juodkrantė, bird lovers can observe the colony of grey herons and large cormorants.Juodkrante also has unique forest sound observation sites “Sound catchers” in an old forest. Vienkiemis recreation complex with a cafe, pub, restaurant offering tradition Lithuanian food.Exposition of historical working tools. The House of Tradition Zvanītāji. The wooden building was erected in the late 19th century and features a museum demonstrating the way people lived more than 100 years ago. 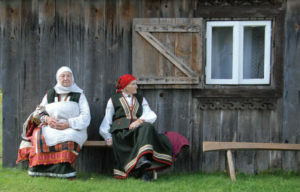 Exhibits include household objects, the Rucava folk costume, socks and decorated mittens. Tasting traditional Latvian food. The Pape Nature Park: a coastal lagoon lake and a wet high peat bog with transitional bogs, sand beaches and walking dunes, coastal forests, flood-plain meadows. Liepāja Craft Centre:Watching various craftspeople at work: amber jewellers, weavers, etc. Farm Pīlādži produces crops (500ha for grain, 350ha for rapeseed), breeds livestock and grows flowers and vegetables (20ha for potatoes). Apiary Honey Castle in. 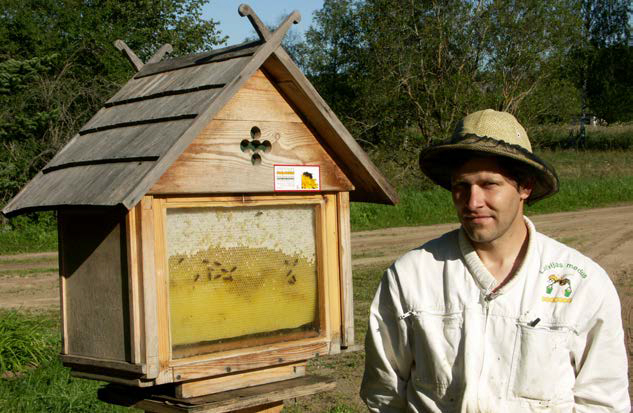 The owner has ca 300 hives of bees. The farm Geidas specialises in dairy farming. 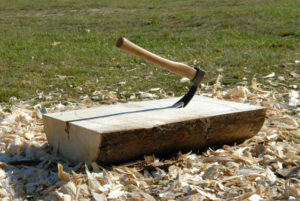 Visitors can churn butter and learn about how dairy products are produced. 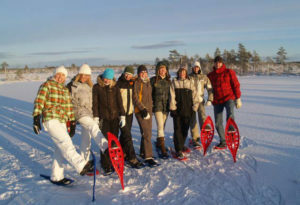 The Ķemeri National Park.The bog landscape can be enjoyed walking through the bog on wooden trail (2-4km, 1-2h walking). Riga city tour.The Dome Cathedral with one of the world’s largest pipe organs, St. Peter’s Church with magnificent views of the city from its steeple, the old Guild Houses, the Swedish Gate, the architectural ensemble Three Brothers, St. Jacob’s Church, the Parliament House, Old Riga Castle, Art Nouveau area. The Historic Centre of Riga is a UNESCO Heritage Site. Namdari Woodworking – getting to know local trees, joining together with master craftsmen to check out antique instruments and play ancient games. The Gauja national park features landscapes of the ancient Gauja river valley and historic monuments. 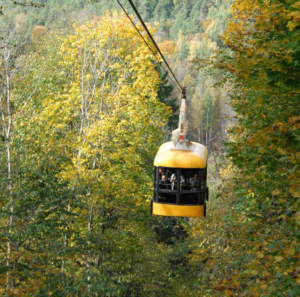 A cable car ride over the Gaujariver: The crossing is 1060m long, about 40mabove the river, and the ride offers an outstanding look at the local landscapes. Overnight in guest house Kārļamuiža. Located in scenic Amata river valley. 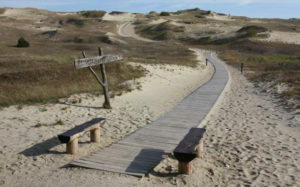 Guests can walk a nature trail near the guest house (1-2h walkingon boardwalk). Cēsis town. Visit a jeweller workshop at the medieval Cēsis Castle. Reproductions of ancient jewellery, watch the craftsman at work. Sheep farm Klimpas breeding more than 150 sheep. The Ķoņi windmill at Rūjiena. The windmill has a 19th century system produced by the Latvian machinery factory and used to shred and card wool. 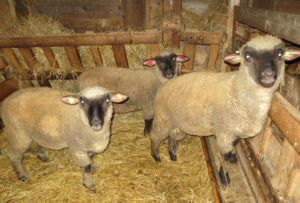 The owners use the wool to produce blankets and pillows that are stuffed with sheep wool (this is handwork). Possibility to taste Latvian food. The Sooma National Park is Estonian land of swamps. There are several major swamps in this area, along with rivers, lowland meadows, wetland forests. Awalking tour (2-3h) wearing special swamp shoes. Driving distance 215 km. Ferry from Virtsuharbour to Kuivastu harbour 0.5h. WalkingFerry to Muhu and Saaremaa islands. Ethnographic fishermen’s’ village Koguva at Muhu island. Vanatoa farm for traditional food. The Panga cliff, ca 22 m high dolomite cliff at the coast. Nature reserve, forest trail and observation tower at the seaside Vidumae (45min walk). Medieval Bishop’s Overnight in Kuressaare. Overnight in a hotel in Kuressaare. The Castle in Kuressaare town. Lunch and wine tasting at Pädaste manor or Luscher&Matiesen Muhu Winehouse on Muhu island. A boardwalk trail in Matsalu National park(5km, 2h), bird watching towers. Haapsalu – a charming seaside town, a castle. Sightseeing walking tour 2h. Overnight ina hotel in Tallinn. Departure to Helsinki, ferry (2h). Helsinki city tour. The Helsinki Cathedral and the Senat Square, the Parliament, the Old Market Hall and Market Square, the Esplanade park, the Kamppi Chapel of Silence, the Temppeliaukio church, the Design District Helsinki, the Suomenlinna Sea fortress. 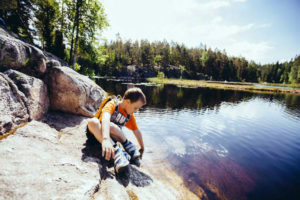 The Nuuksio National Park comprises the westernmost part of the so-called Nuuksio lake highlands. Dozens of endangered or near threatened species of animals, plants and fungi are found in the area, for instance, the Siberian Flying Squirrel, the European Nightjar and the Woodlark. Overnight in spa hotel Cumulus Resort Siuntio. Enjoy the peaceful nature surroundings of the spa and take the wild herb tour in Purnus river valley with SE-Action.